Sports teams would be chaos without coaches. Ships would sail in circles without a captain at the helm. Schools would be mad houses without principals. Without some authority the world would be a messy place. These are our coaches, captains and principals. I am the president and owner of the company, I considers myself more of a manager and I try to operate more like a coach than a boss. 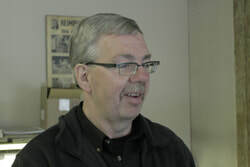 I've been the general manager here for many years as well as looking after acquiring the parts for the machine shop. From time to time I've also filled in on the parts counter. Heimpel Automotive employ's some of the most knowledgeable & helpful staff in the industry. They have been helping customers just like you, find the best parts to suit your needs, for more than 60 years. Our team of dedicated professionals will get what you need the first time around. I started at Heimpels in September of 1997 as a co-op student in the machine shop & started as an employee in June of 1998. After a few years I moved into maintaining the inventory for the company. From there I moved to the parts counter where I have remained to this day. 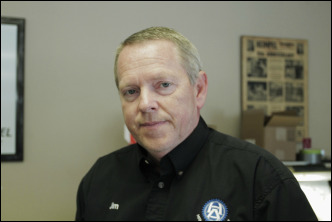 I have acquired 40 years of experience in the automotive industry. 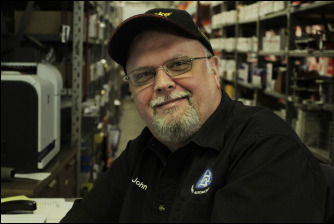 The 30 years I had in the Parts Department at GM set a strong foundation before ​joining Heimpels in 2013. ​30 of those have been with Heimpel Automotive. I've spent 43 years in the automotive industry. Two of them were in the heavy truck aspect of the industry. From there I moved into jobber parts were I spent the next 21 years. Finally in 2007 I began at Heimpels on the counter where I have been ever since. I've been with Heimpels machine shop since 1972. I've been with Heimpels in the machine shop since 1985. If you've ever wondered how companies get introduced to new products, or why they carry the items they do. Look no further then the individuals in the sales department. These individuals take their time to build relationships with 'you' the consumer. These are the men that work to keep your shop stocked with what you need. I've been with the company since 1990. Running out of stock of a product is 'NOT GOOD'. A driver getting lost or delivering the wrong item to the wrong location is 'NOT GOOD'. These are the men who work to prevent 'NOT GOOD' things from happening. I've been with Heimpels since 1984. I started out in the machine shop and eventually moved onto inventory control. A challenging position that keeps me on my toes most days. 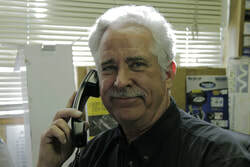 I am a new addition to Heimpels, but I bring with me years of experience in picking auto parts and dispatching drivers. We also employ a crew of drivers who ensure that you get the parts you need, in as timely a fashion as possible.